I’m not sure what you’ve been doing over the holiday. The internet says most of us are eating hot dogs (150 million to be exact) and burning ourselves beyond recognition with both fireworks and gasoline from the grill. Mildly ignorant Paula Deen has been letting go of all the people associated with her past career as a successful enemy of the American Heart Association (mutual foe of the very real National Sausage and Hot Dog Council) in an attempt to resurrect her current non-existent one as a grammatically challenged member of the Hooded Order. Weiner has by Deen’s side since her early Food Network days, the start of Paula’s Home Cooking where we were taught recipes that were very inclusive when it came to chicken, vodka and salted butter. 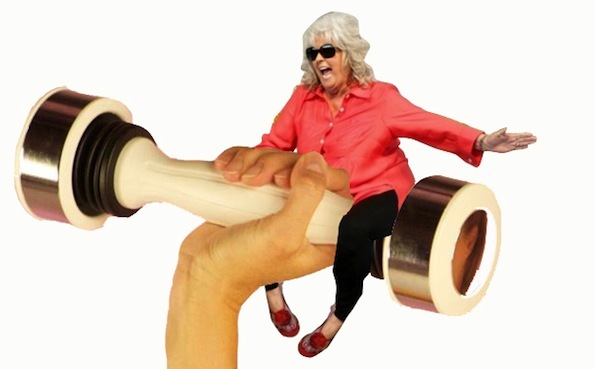 Before I go, I was wondering if any of you had seen this Tumblr of Paula riding things? Not what it sounds like. Or actually, exactly what it sounds like. 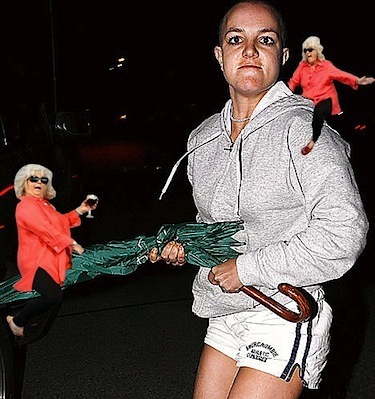 Click if you’re in the mood for mindless laughter.